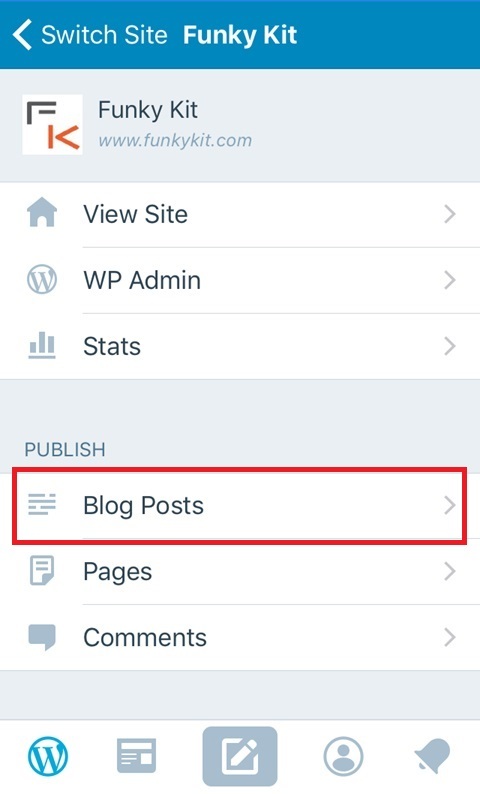 In this article, I’ll be showing you how to use the WordPress App (on iOS) to post items and articles directly to your WordPress blog or website. 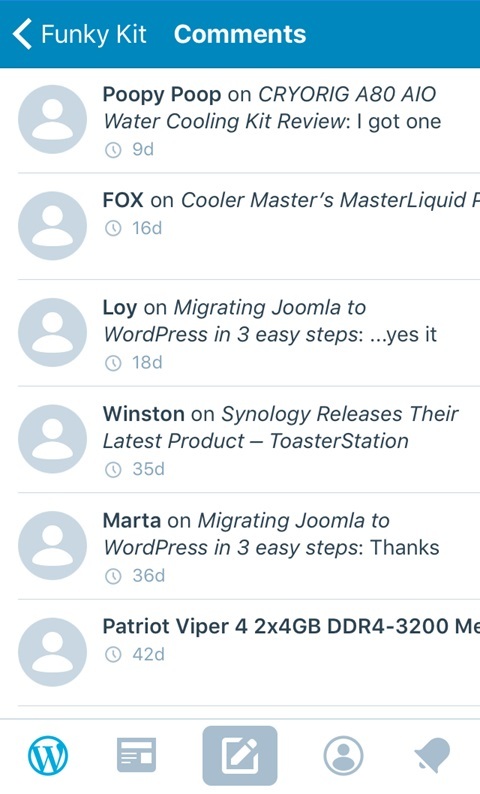 In my last article about our recent Joomla to WordPress migration, I mentioned about the lack of available mobile apps for Joomla. 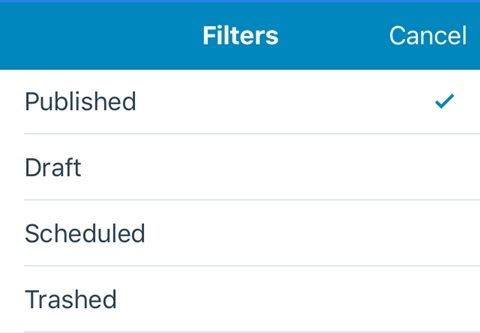 In fact, to this day … there’s STILL no an official Joomla App and there aren’t any decent apps available from the AppStore, for editing or posting your articles on a Joomla site. 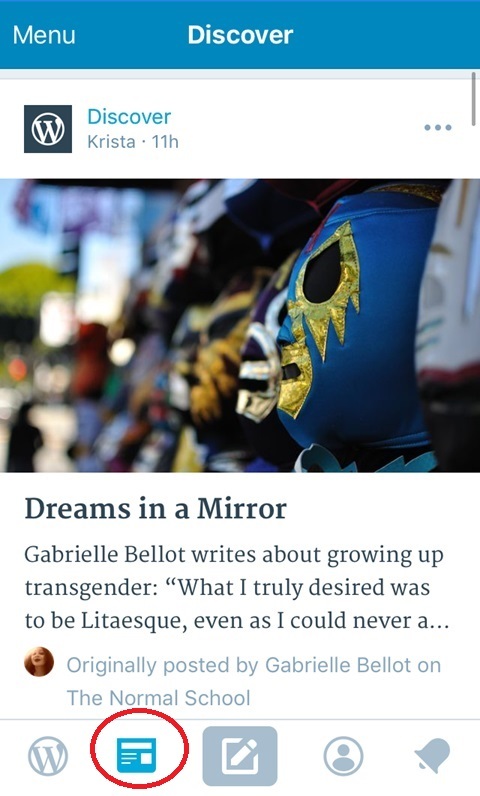 This is one of the main reasons why I wanted to switch over to WordPress. 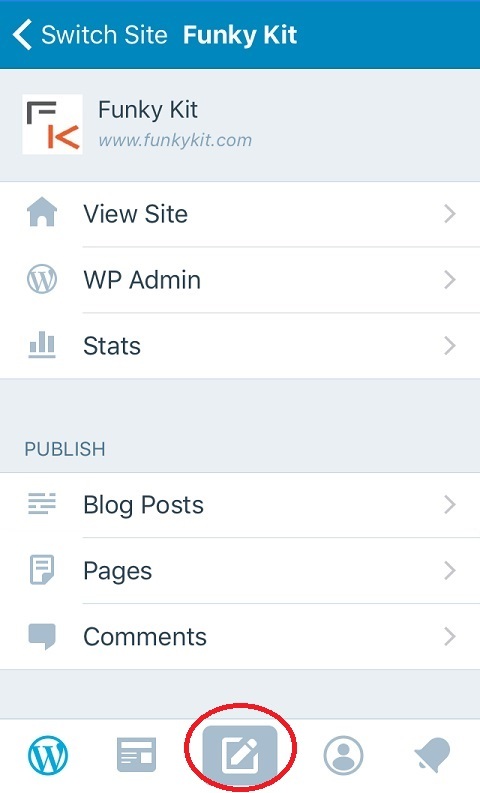 So without further ado… Let’s check out the WordPress App for iOS. 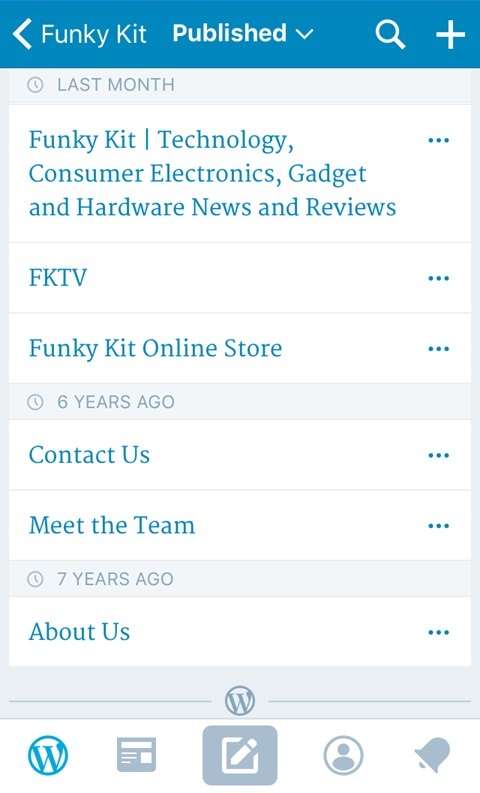 Whether you’re using your iPhone or iPad … it’s perfect for updating your blog or website on the go. Go to the Apple AppStore. 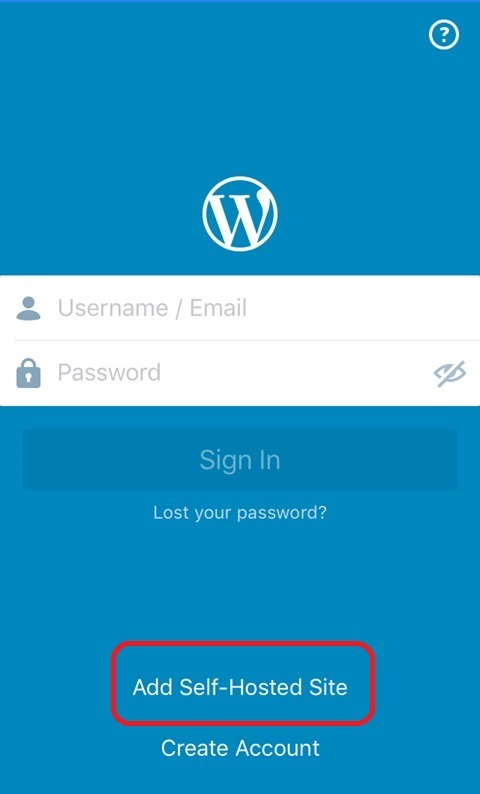 Select the WordPress App by Automattic and install the app. View Site – Takes you to the web browser and opens the front page of your chosen website. 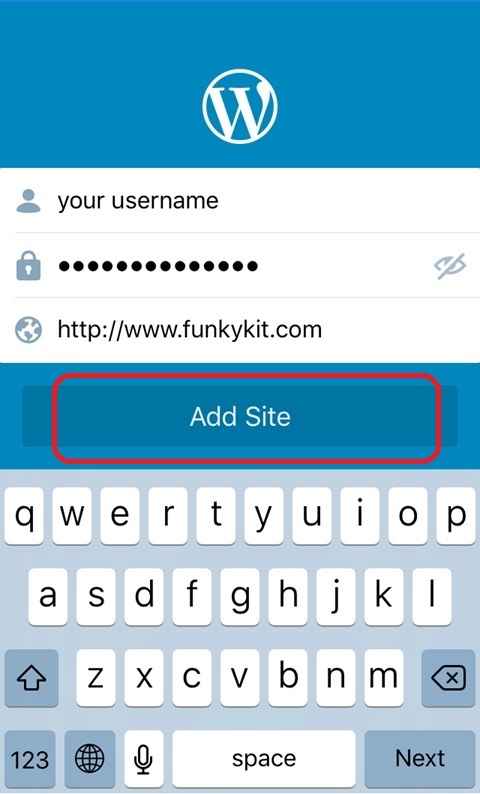 WP Admin – Takes you to the web browser and opens the WordPress Admin page of your chosen website. 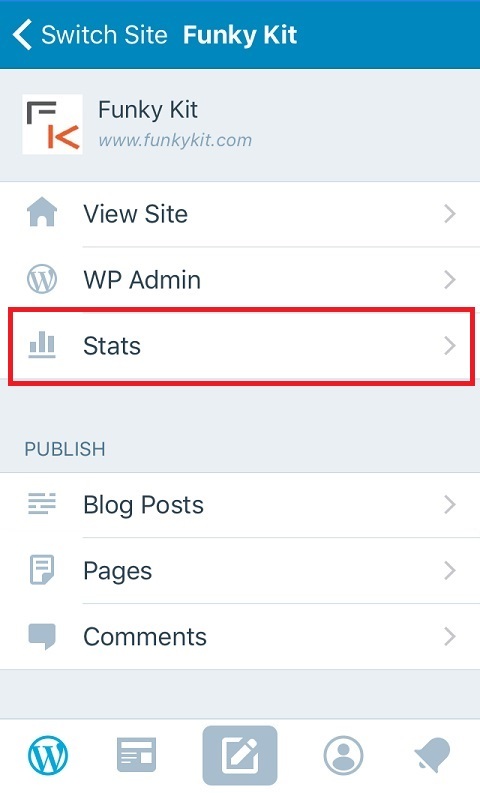 Stats – Uses Jetpack for WordPress statistics to be displayed on the app. 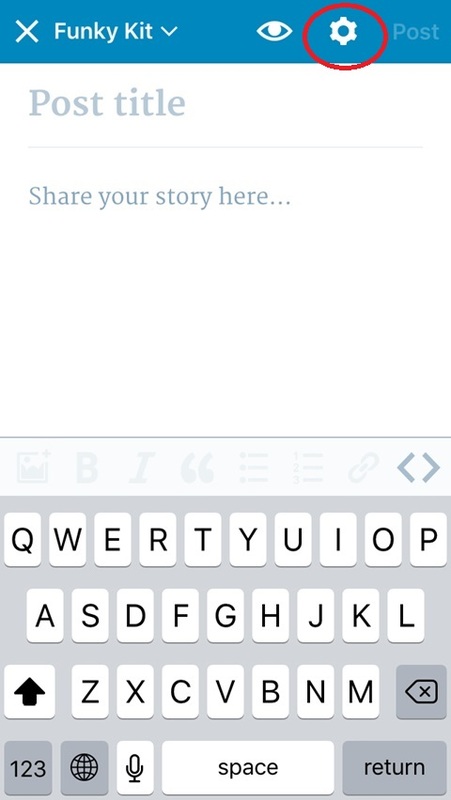 Blog Posts – This is where you can start a new post and write up your article on the go! 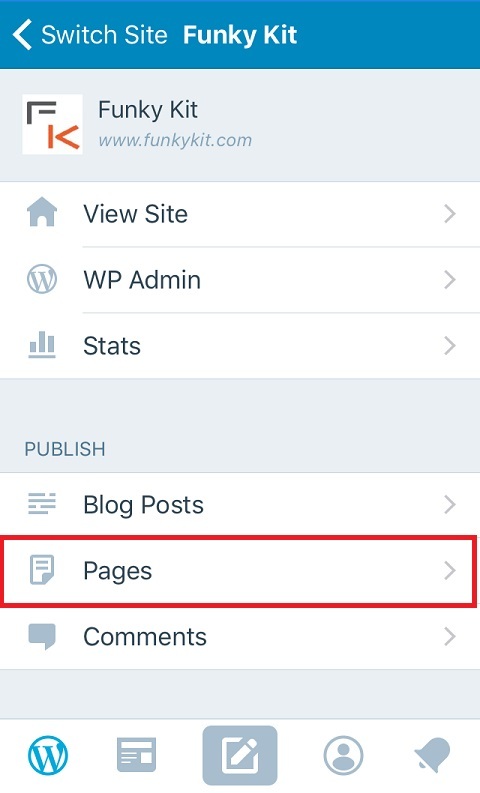 Pages – Manage, create and edit your pages. 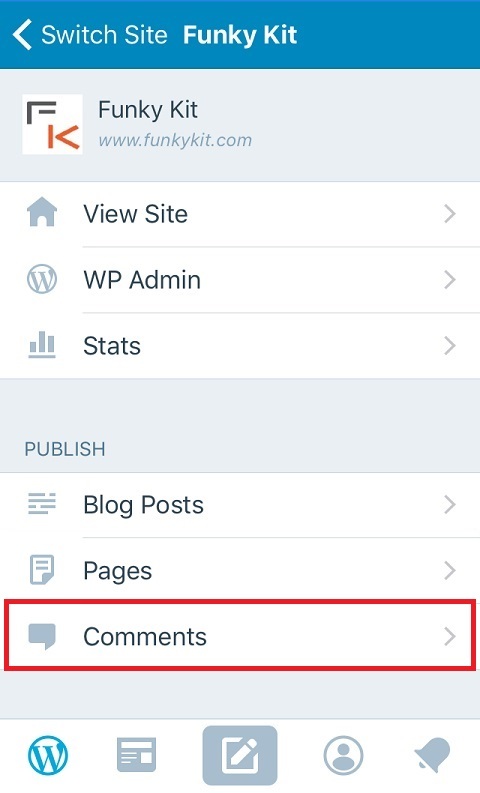 Comments – Manage, approve and reply to comments submitted by your readers. 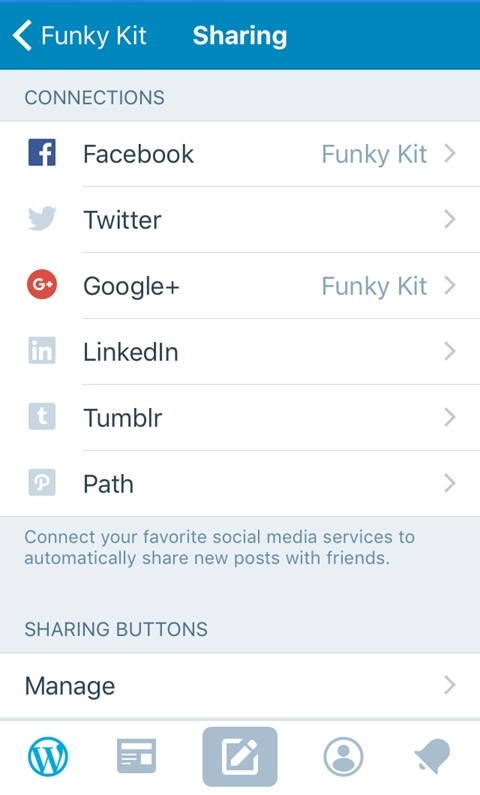 Sharing – Manage how your posts are connected via social media. 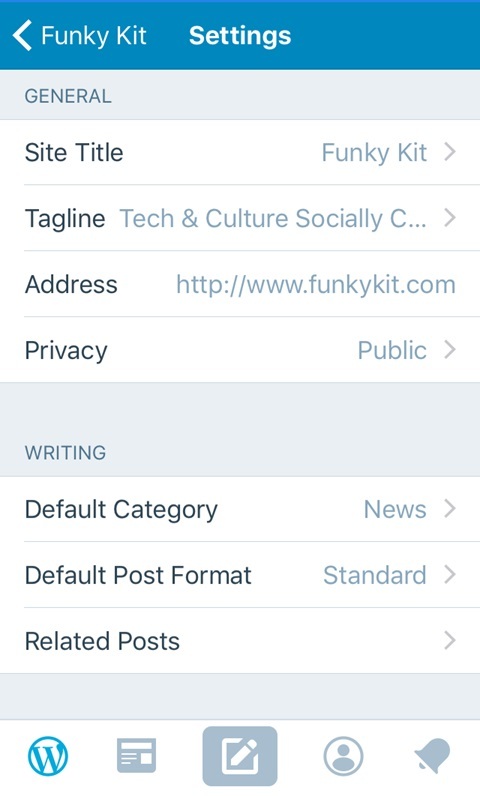 Settings – Manage your blog/website’s information and settings. See the above screenshot. First Select the middle icon as shown circled in RED. Enter the post title and content as normal. Select the “cog” icon on the top right hand side (see the 2nd image of the gallery). 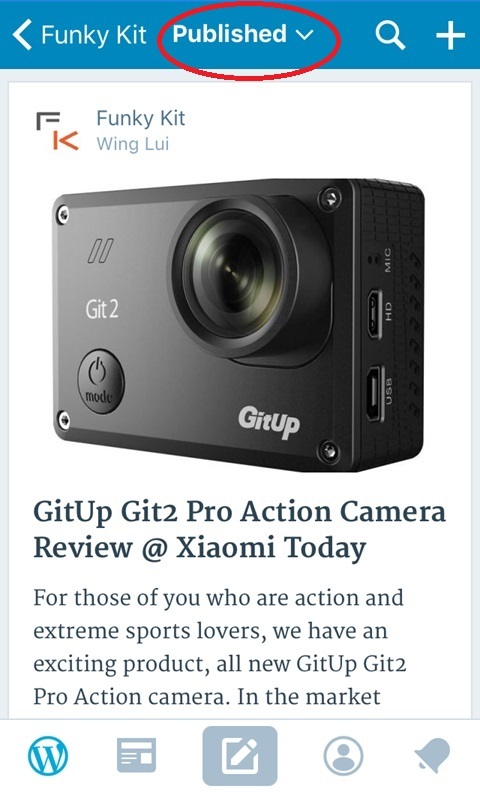 To change and edit your post options, please see 3rd image of the gallery. 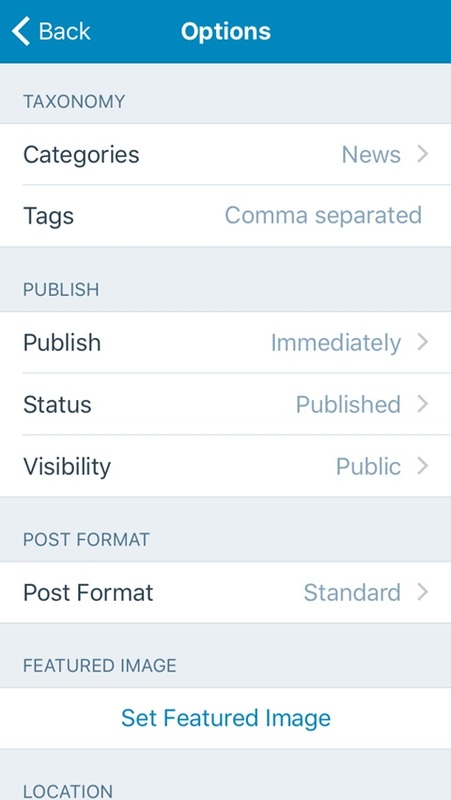 Using Jetpack for WordPress, statistics to be displayed on the app. 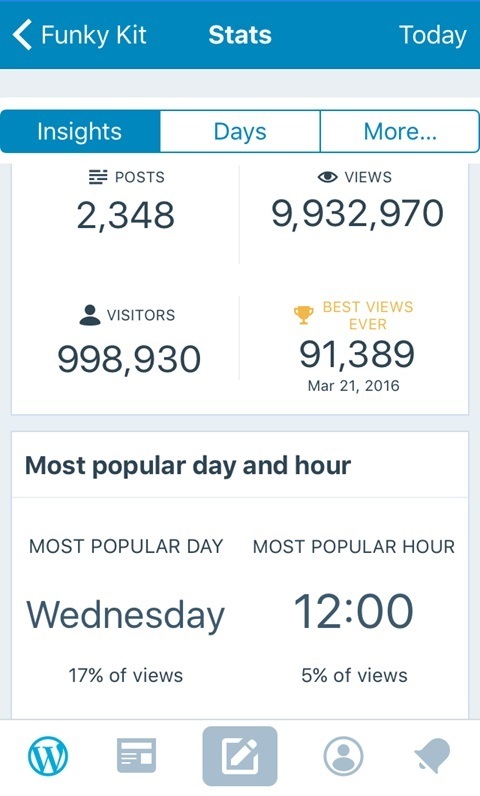 It’s a great tool for monitoring the performance of you blog or website. 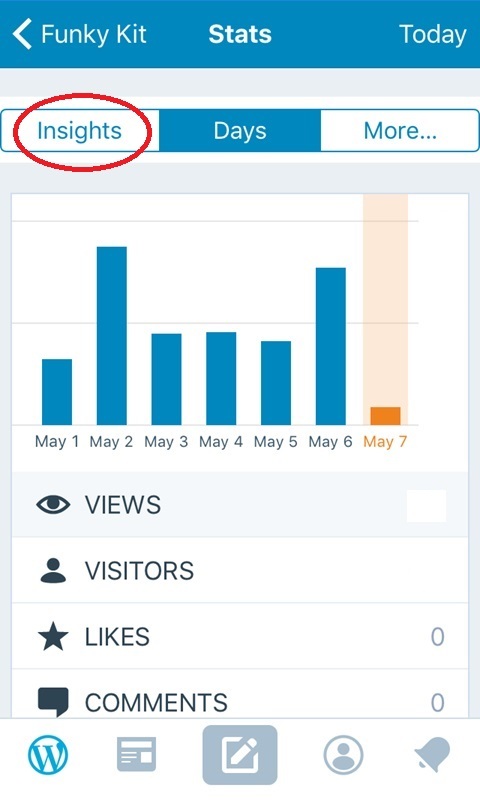 It also tells you some insights … including total Posts, Visitors, Views and more. 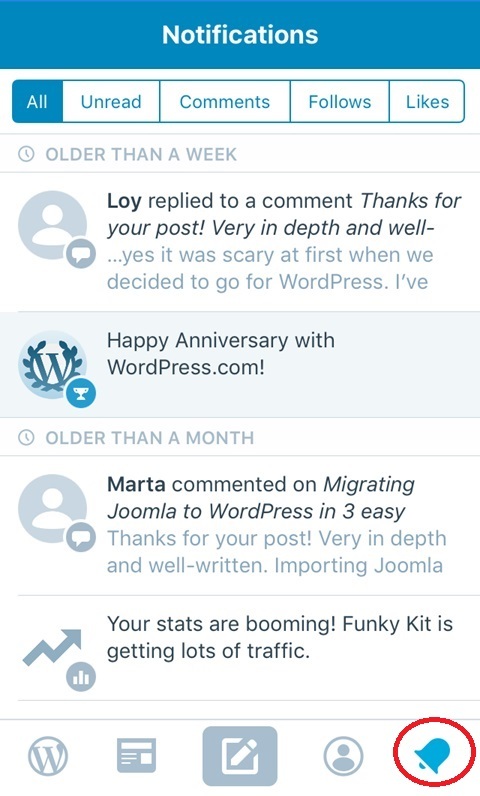 Thanks to my friend’s advice … we managed to successfully migrate Joomla to WordPress a few months back, and what’s more we’ve also enabled Jetpack for WordPress, which means our team are able to post blogs and articles on the go … wherever they may be. 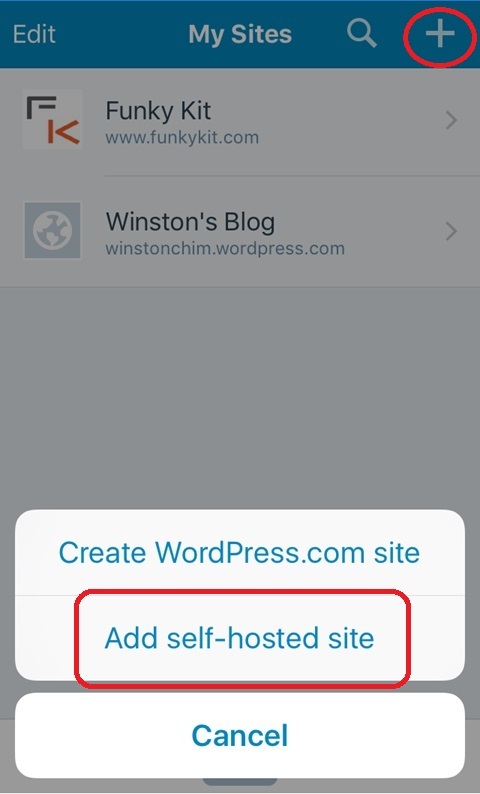 I’m extremely happy how easy it is to install and run the WordPress App … it’s simple and fast. 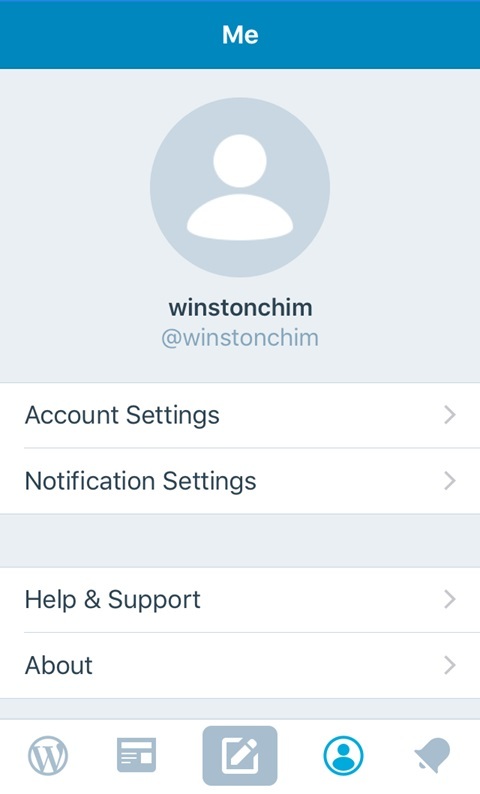 In today’s fast moving world … it’s all about mobility, productivity and freedom … And that’s what I like about this App. 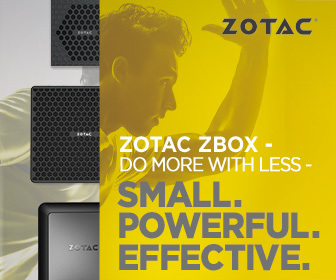 It allows be to do all that and more!